Kia's plant near the northern city of Monterrey is one of many auto manufacturing sites newly opened or planned in Mexico. Vehicles must have 62.5 per cent North American content to be duty-free. OTTAWA - The Canadian automotive industry is anxiously waiting to see if the next round of NAFTA negotiations will provide some clarity on American demands that vehicles must have "substantial" U.S. content to qualify for duty-free movement within North America. Rules of origin — one of the most complicated and contentious issues on the table, particularly when it comes to the auto sector — is on the agenda for the third round, which starts Saturday in Ottawa. But while Canadian officials had been hopeful the United States would finally put some flesh on the bones of its position over the course of the five-day session, they say it's now uncertain whether American negotiators are ready to show their hand. Nevertheless, Foreign Affairs Minister Chrystia Freeland is preparing for the possibility with a meeting today in Toronto with automotive parts makers. Flavio Volpe, president of the Automobile Parts Manufacturers Association, says everyone in government and industry is ready to spring into action the moment the United States tables its position but, in the meantime, they're all "circling the airport." He suspects they'll have to continue circling for some weeks yet. As far as Canadian officials are concerned, automobiles — specifically, the exodus of auto industry jobs and investment to low-wage Mexico — are at the root of President Donald Trump's threat to rip up the North American Free Trade Agreement. Resolving the problem will be the key to the success, or failure, of efforts to rewrite the trilateral trade pact. Hence, the eagerness to find out precisely what is the American bottom line on rules of origin. "We're waiting with bated breath, I guess, like our Canadian negotiating team and probably the Mexican negotiating team, as to what the U.S. is actually going to propose," says Mark Nantais, president of the Canadian Vehicle Manufacturers' Association. U.S. Trade Representative Robert Lighthizer opened the first round of negotiations in Washington last month with the aggressive pronouncement that "rules of origin, particularly on autos and auto parts, must require higher NAFTA content and substantial U.S. content." Moreover, he said there must be a way to verify that content. The United States has not gone into any further detail since then. But it's bound to be controversial when they do. "Trade negotiations are based on the concept of a balance of concessions and the United States explicitly wants an imbalanced result (that favours the U.S.)," says Ted Alden, senior fellow with the Council on Foreign Relations in Washington. "That's going to be a pretty hard thing for Canada and Mexico to swallow and I've never seen a trade negotiation conducted where that was the starting point." Under the current terms of NAFTA, at least 62.5 per cent of a vehicle's content must be made in North America to qualify for duty-free access between the United States, Canada and Mexico. It’s already "the highest content requirement of any trade deal we're aware of," according to Nantais. Reports in the United States suggest the Trump administration wants to raise that to more than 70 per cent and add a requirement that anywhere between 35 and 50 per cent must be made specifically in the United States. Moreover, the United States reportedly wants to add steel and electronics, which aren't currently included, to the list of components whose country of origin must be traced. Automakers on both sides of the border contend the U.S. position would disrupt their fully integrated North American supply chain, add costly red tape and ultimately weaken the North American industry's competitiveness. Trade experts on both sides of the border are warning that it could backfire. In a paper published Thursday, Scotiabank Economics argues that there is no need to tighten rules of origin for the auto sector; more than 75 per cent of vehicle parts are already made in North America. That could drop, the paper acknowledges, with the rapidly increasing computerization of cars and trucks since the electronic components are primarily produced in China, Japan and Germany. But tightening the NAFTA content requirement wouldn't necessarily result in those components being made in the United States. More likely, Scotiabank says automakers would move more production to Mexico or even opt to conduct trade outside NAFTA altogether, paying the 2.5 per cent tariff on auto imports to the United States rather than bothering to try to meet more onerous content requirements under NAFTA. "If the cost of compliance becomes too high ... they won't look for the duty break," concurs Peter Clark, an international trade consultant who was involved in negotiations on the original Canada-U.S. free trade deal and NAFTA. Caroline Freund, senior fellow with the Washington-based Peterson Institute for International Economics, came to a similar conclusion in a paper earlier this month. And she warned that if foreign auto makers were to decide it's cheaper to operate outside of NAFTA, they could choose to confine their operations and their auto parts suppliers to their home regions, taking North American jobs with them. Unifor President Jerry Dias, whose union represents Canadian autoworkers, supports hiking the North American content requirement but he warns it can't be done in isolation. "Unless you fix the rest of the mess, it's meaningless," says Dias, who "absolutely" expects to see more detail on the American position during the next few days. The rest of the mess includes, in his view, more stringent labour standards that would significantly hike wages for Mexican auto and auto parts workers and an increase in the low U.S. and Canadian tariffs on imported vehicles outside of NAFTA. Without those two additional measures, he says more jobs and investment will simply wind up flowing to Mexico or outside North America altogether. Canadian officials, who are not authorized to speak publicly on the negotiations, believe tightening rules of origin is not the way to go. 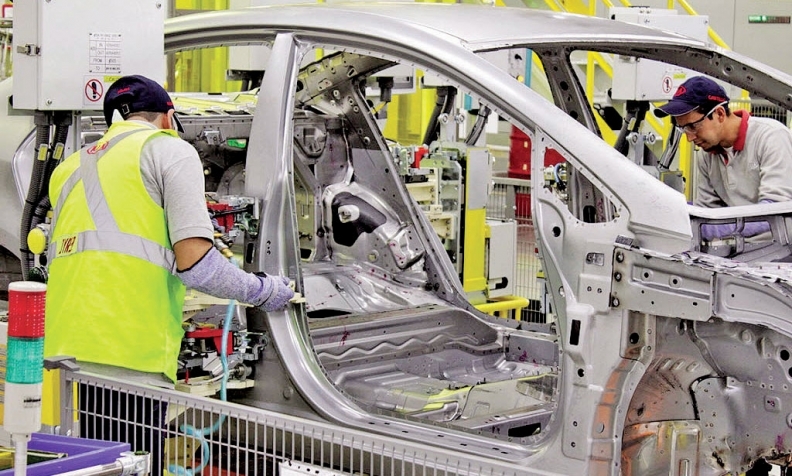 They contend the most effective way to reduce Mexico's disproportionate share of auto investment and jobs is to strengthen labour and environmental standards under NAFTA.